The association will also look into the use enzymes in recycling. 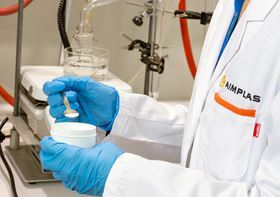 Spanish plastics association Aimplas has begun a project aimed at developing more sustainable processes for the manufacturing, recycling and composting of plastics. The Enzplast project, supported by the Valencian Institute of Business Competitiveness (IVACE) will examine implementing synthetic routes to obtain plastics in a safer and more ecological way by making use of enzymes instead of metal catalysts. The association will also look into the use enzymes in recycling by incorporating them at the washing stage to remove odor, as well as the separation of multilayer materials. Finally, the effectiveness of different enzymes in the biodegradation process for several different bioplastics will be studied. Composites UK and the British Plastics Federation (BPF) have formed a partnership to organise the Thermoplastic Composites 2016 conference.